Pipes are like the blood vessels of your house. You only ever notice them when something goes wrong, like when they freeze or burst, or when you unearth them during your annual cleaning spree. For maintenance of your running water, it’s essential to keep the pipes in working order. The other side of the coin is that certain things should never be done to the pipes, if you want to ensure that your toilet still flushes and faucets still work. Here are four things you should never do to the pipes in your house. Some well-meaning person once came up with the idea of regularly pouring bleach down the drains, in order to clean out all the gunk that accumulates in pipes over the years. That well-meaning person was very wrong. Bleach is a powerful, toxic substance that should be used carefully and properly, and pouring it down a drain is not a proper use. Bleach can react with other substances in your pipes, potentially release fumes, and further plug up the system. 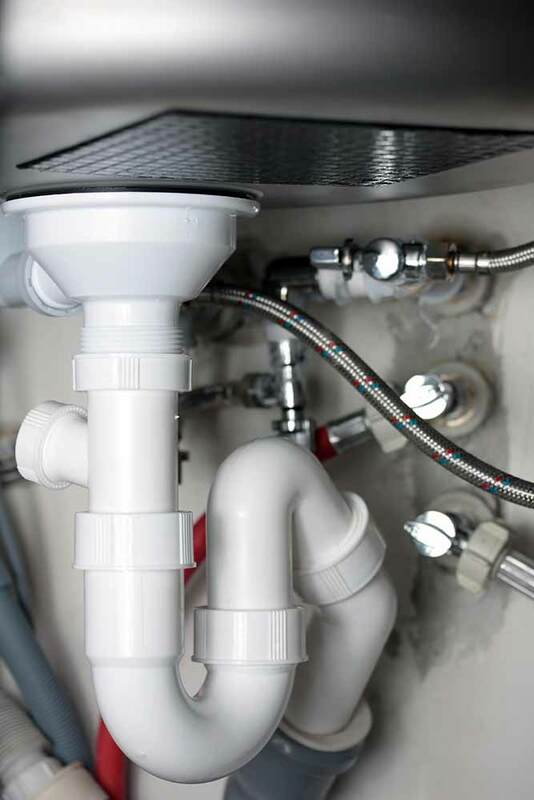 There are environmentally friendly bleaches and home solutions you can use to clean your pipes. Pouring bleach down them will do much more harm than good. During the winter season, a frozen pipe is the homeowner’s nightmare. It can be dangerous and expensive on its own, but some people make the mistake of trying to speed up the thawing process. The absolute worst thing to do is to use a propane torch in order to forcibly release water that is stuck in a frozen pipe. That can permanently damage the pipe by melting it. It can also ignite flammable material near or around the pipe. After cooking a hearty meal, you might be tempted to dispose of all the grease by tipping it into your kitchen sink and watching it slither down the drain. This is a very bad idea. Cooking grease does not get broken down, so it builds up over time, even if you only infrequently pour it down your kitchen drain. Grease that does not get broken down by soap simply hardens and clogs your pipes. Even if it makes it all the way to the sewers, grease can damage the environment by combining with soaplike chemicals, blocking the pipes, and causing sewer overflows. That’s why public utility and environmental companies ask people to dispose of grease in the trash, and not the sink. If you must get rid of grease it your sink, flush it with cold water, not hot. Cold water solidifies grease into particles, which makes its journey much smoother. Warm water melts the grease or keeps it in a semi-liquid state, which means it will harden only when it reaches a cold spot in your pipes. At that point, it’s likely to solidify where it should not and impede drainage. It’s the easiest thing in the world to get rid of leftovers simply by mashing them down the kitchen sink, but this is one of the worst things you can do to your pipes. Like most other substances, food will accumulate in your drains over time and clog the system. You should be aware that the garbage disposal unit cannot shred certain items very effectively. An example is meat, which becomes stringy and wraps itself around the blades of the unit. This dulls the blades and renders them less able to break down other food items that go in later. Similarly, starch from rice, pasta, and potato skins makes the blades of garbage disposals slimy, either rendering them ineffective, or simply clogging them up. It’s best not to throw solid food material into the garbage disposal at all. Just throw all of it in the trash, and let the unit take care of whatever is left.